Cape Town was so hyped for so many years for me that it was up on my bucket list. I must say after everything I heard I was a bit disappointed at first. It’s a bit of a rougher spot with the cold water (if you’re used to kite in a bikini most of the year), waves and the crowd. But it has a very special vibe which took me a bit longer to get the hang of it. Cape Town has so much to offer and even if I wouldn’t say the kitesurfing conditions aren’t the best for me personally (and I know I’ll here a lot of kiters contradict since it’s one of the world’s most famous spots with its strong wind and waves) the whole lifestyle, people, vibe and possibilities of the city make it a perfect spot, especially if you’re with some non-kiting crowd or want to stay longer and still have all the comforts of the city. 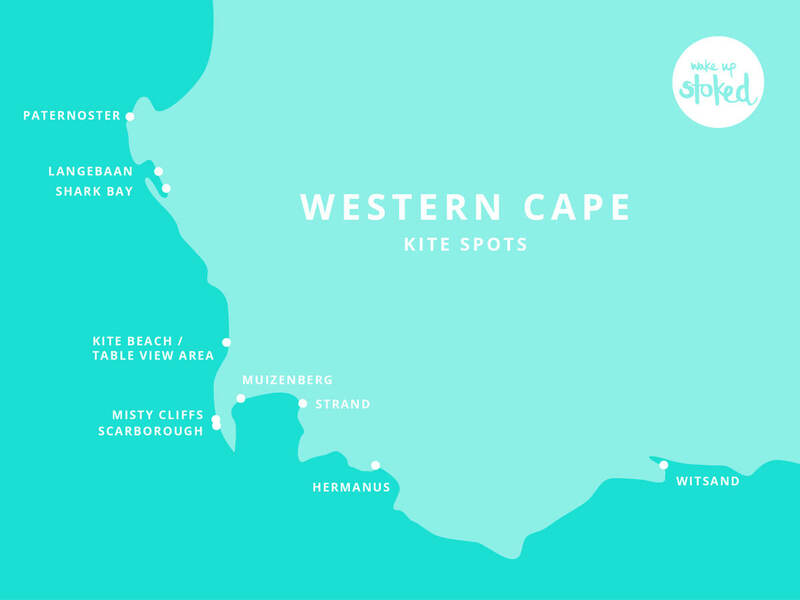 Side Note: the spot guide is centred around the Table View/Blouberg area since it’s the most popular area for kitesurfing as well as the surrounding kite spots in driving distance. 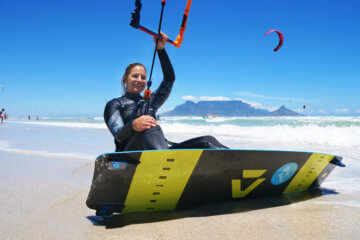 Annual Kitesurf Events in Cape Town, South Africa. The best wind is from November until End of February although it has „only” around 60%–70% wind chance. 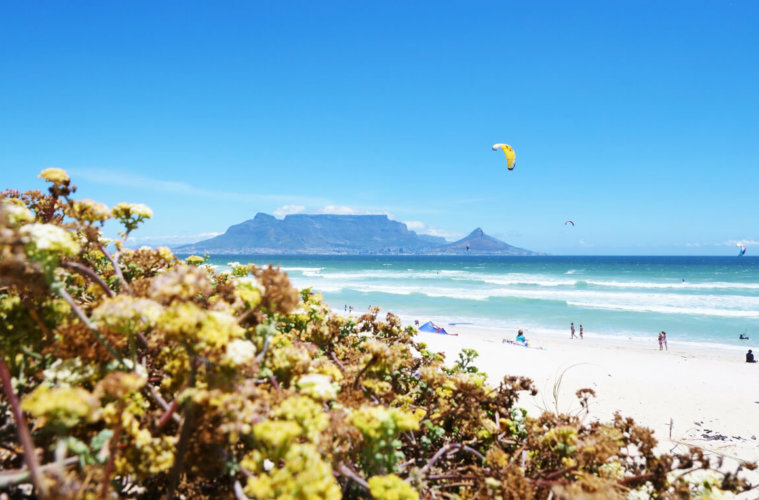 Which means you’ll always have a few days in-between with no wind in Cape Town but you have plenty of options at the surrounding spots which are a few hours away or to simply explore the area which has A LOT to offer. The best option is to go for a 4/3 wetsuit although some people also wear 3/2 with short legs. 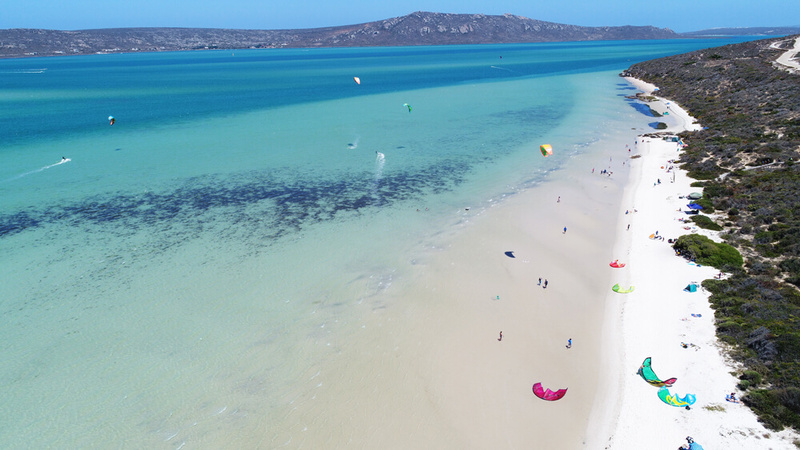 It’s advisable for kitesurf beginners to go to Langebaan lagoon (1 hr drive from Blouberg), Hermanus (2 hr drive from Blouberg) or Wistand (Breede River)(4 hr drive from Blouberg). The international airport of Cape Town can be reached with many direct flights from around the world (airport code: CPT). You can either get your own rental car or take an taxi or Uber from the airport – they have a certain area where the Uber drivers stop. Depending on the traffic it will take you around 45min to 1 hour to get to Blouberg where most kitesurfers stay. I booked mine via billiger mietwagen the first time I came to Cape Town, which is ok if you’re looking for a car just for a week or two. You can also book a rental car via Rent A Cheapie or other local car rentals. 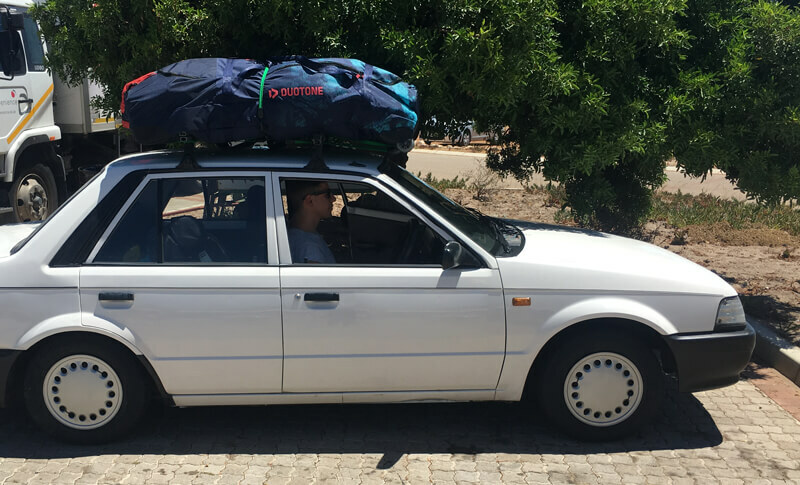 The one in the picture is from Hire a Car Cape Town which drives like a tractor and is quite old – but it easily fits 3 kiteboards in the trunk plus kites so it’s very spacious if you’re renting a car with 3 or 4 kitesurfers. For long term rental Avis offers mini-leases with monthly rates. You have to take it a minimum of 3 months or otherwise pay a small “fee” if you terminate your contract early, which is what I did. Does it make sense to rent a car? If you want to explore the activities around Cape Town, yes. As well as if you want to visit the other kite spots when the wind is changing direction and you don’t want to miss a single windy day. Use Uber to get to Cape Town center or the My Citi Bus to get around. You can also use the MyCiti Bus for your downwinders (get yourself a bus card before) and start e.g. from Blouberg Kite Beach and kite down to Melkbos. 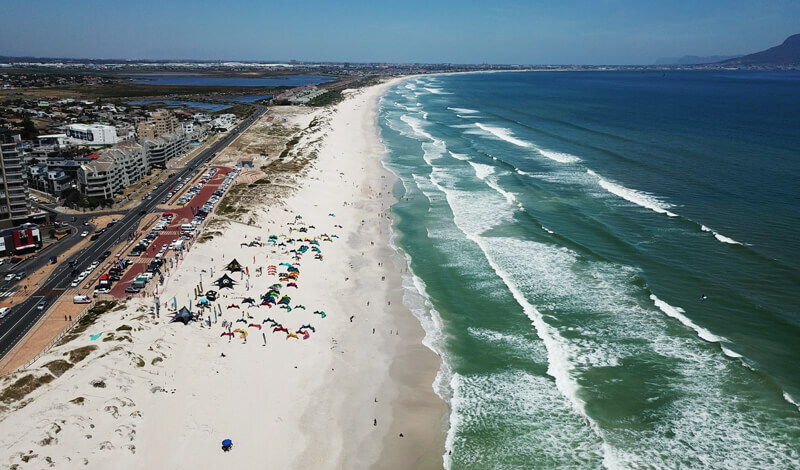 The order of the spots is from upwind to downwind (or from South to North): Sunset Beach, Dolphin Beach, Kite Beach, Doodles, Big Bay, Haakgat, Melkbos. The wind usually starts here the earliest but it’s quite gusty. Waves can be super nice, the spot is popular with windsurfers as well. One of the most popular spots, you usually find some less crowded places upwind or downwind of Dolphin Beach. The most popular (and usually most crowded) spot for kitesurfers since it’s the easiest accessible one if you don’t have a car and found accomodation close by. Check the live wind meter for Kite Beach – usually you can add a few knots to what you see if the South Easter winds blow! If you want to get a King of the Air feeling look out in the late afternoon or sunset for all the pros boosting high and throwing crazy tricks. In front of the Doodles Restaurant 😉 It’s the end point for some people who are doing a downwinder from Sunset and don’t want to continue around the rocks to Big Bay. Nice infrastructure with the promenade for non kitesurfing partners. Nice waves! It can be a bit gusty. In or downwind of Big Bay you can score nice waves. Windsurfers and surfers are usually at the left part of the bay. Ideal for wave kiters, popular for windsurfers, usually an end point if you’re doing a downwinder. Check the live wind station for Melkbos. Downwinders are very popular for wave riders and those who boost high. 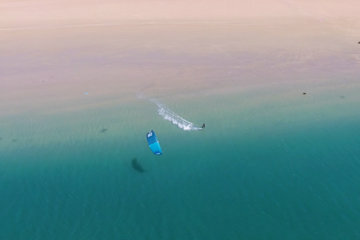 Depending on how long you want your downwinder to be you can either do a short one from Sunset Beach to e.g. Doodles or a longer one from e.g. Kite Beach to Haagkat or Melkbos. Generally speaking the best waves are usually downwind of Big Bay if you’re a wave lover. Just an hour away from Cape Town you’ll find this spot which to me almost has more of a laid back beach holiday vibe if you compare it to Cape Town. It has some nice restaurants and cafes so you could also easily spend a week here if you want. There are a lot of kitesurf beginners in here, some days I’d say like 95% which don’t really know what they’re doing so it gets pretty crowded. The wind is not as strong as in Blouberg so bring your bigger kites (9 to 12m). Nice for freestyling. Works best with South wind but also when the wind blows more North West or West. Nice flatwater lagoon (check the tides!) speparated by a sand strip with the waves on the ocean.It has a nice atmosphere, there are toilets at the spot and nice restaurants in Hermanus town. 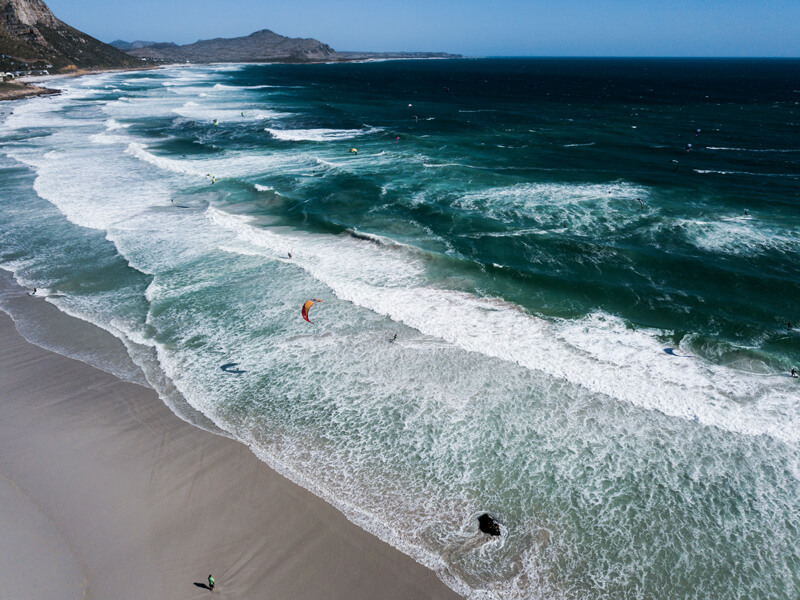 West wind in Hermanus: West is Best in Hermanus, very clean wind – and it gets super crowded on the lagoon since everyone comes from Cape Town to Hermanus, especially all the pros. The wind on the lagoon is offshore so it’s only suited for kitesurfers who can ride safely upwind. South Wind in Hermanus: Even if the forecast is around 20 knots the wind usually doesn’t push through until like 5 pm so it makes only sense if you stay in Hermanus over night. South-East Wind/East-South-East in Hermanus: Cross-onshore on the lagoon (so a bit gustier since the wind is coming over land but still solid wind), ideal for beginners, cross-offshore on the ocean so excellent for experienced wave riders. The lagoon is breaching every few years so then it opens to the ocean it becomes a tidal lagoon and the conditions change. By the end of the season the lagoon is empty and then usually fills up again at the start of the season. It’s actually a super cute village and I could easily imagine staying there a few nights. For more infos get in touch with Kite School Hermanus (they actually gave me all these detailed infos so thank you, Scott!). During my stay from Jan until March 2018 the wind had pretty different wind patterns. Usually when it was up in the morning it would be lighter and get stronger throughout the day. There were also some days where it would be up around lunch time and then drop again in the late afternoon which I heard is not that typical (usually it’s the other way round, it gets stronger and stronger). If you have a car and check the surrounding spots you will usually get a lot more wind than if you stay in Blouberg. It’s usually a few days windy and then a few days off – or windy with a different direction so other spots around the area work. Kiting in Blouberg had a funny feeling to me at first: you’re in a city but at the beach. You don’t really have that „holiday-beach-feeling“ atmosphere since everyone sets up their kites, kites their heart out and then leaves. There are a few bars close to the spot like Pakalolo where you’ll bump into a lot of kitesurfers but it’s still a different vibe. Also during the main holiday season (Mid-December until Mid-January) it got very crowded and let’s just say that it’s one of the spots where you might get annoyed by the people since there are a lot of good riders kite looping and landing right in front of you or in your lines if you didn’t look around – or there are those who think they are good but completely misjudge and would jump right into you if you’re not careful. 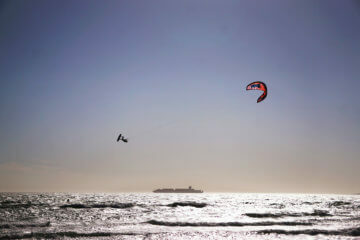 Since I assume you’re a kitesurfer, the best is to stay around Blouberg, Table View or Big Bay to be close to the spots. Staying in town might take quite long to get out to the kite spots with the traffic and daily rush hour happening. You can check airbnb (negotiate for longer term stays), gumtree (search options are short term, apartment or room rental among others) or via a real estate agent which makes sense if you stay longer and/or share an apartment with other people. 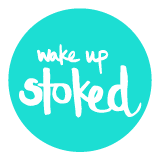 One of the most social places to stay – run by a very passionate and sweet kiteboarder named Rosie – is Rosie’s Kite House. I also enjoyed staying in Tabu House which has a very nice living area and other kitesurfers around. Another very social place where it’s easy to meet other kitesurfers is Mystic House. All in the Kitchen: A bit further back so not directly at the beach but they are my favorite place! They have homemade fresh dishes changing every day at decent prices, I think I ate there most of the days, so yummy! Nice breakfasts and regular dishes as well (try the Roast Veg salad with avocado and feta or their low carb quiches). They also have green juices and low carb options. If you come after 1.30 pm they might already have run out of the daily specials so if you want one of those it makes sense to make a reservation via whatsapp or come early. And leave some space for their insanely yummy cakes! yo goodness: for the healthy foodies with lots low carb, gluten-free options and vegan options. They also have cold-pressed juices and yummy breakfasts as well as vegan burgers. Homespun: Fine dining for all the foodies! Definitely a must-do when you’re there, make sure to make a reservation. If you’re vegan or have any food requirements contact them before and they’ll prepare a special dish for you. Small disclaimer: if you’re a very hungry kitesurfer and love big portions you should have some food before or order two mains 😉 My favorites: Cape Malay Baby Squid for starter, all the mains are exceptional and the Chocolate Torte for dessert. Angus and Cattle Baron are for the meat lovers! Orient: no fancy restaurant but very reasonably priced sushi. All the no wind activities you could think of since Cape Town is a metropol 😉 Choose one of the outdoor activities like surfing, climbing/hiking, mountain biking, hiking, running along the sea, wakeboarding, hike up Table mountain or Lions Head and enjoy the view. Or go for a wine tasting at one of the wine farms, visit the penguins at Boulders Beach, go for a trip out to Robben Island (where Nelson Mandela was imprisoned), visit the Cape of Good Hope, enjoy some good food in the countless restaurants or party your heart out. Check out this extenisve list of activities. The famous King of the Air happening every year end of Jan/beginning of Feb. SAKA has different events from Testivals to Big Air, Freestyle and Wave Ride Competitions. 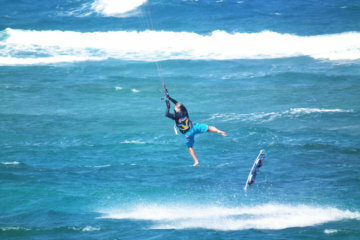 There are usually other competitions happening as well during kitesurf season. 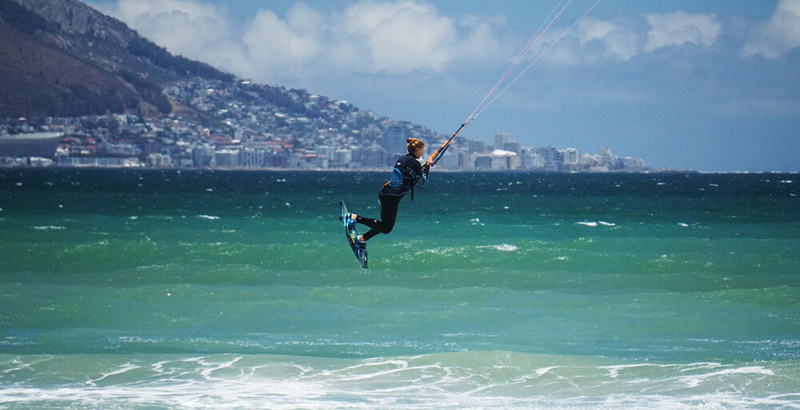 Cape Town combines kitesurfing with the infrastructure you need to work online like no other spot in my opinion. You have the city close by, Blouberg itself has a good infrastructure, you can easily uber anywhere, if you ask before you find airbnbs with uncapped internet and mobile internet can be super cheap. 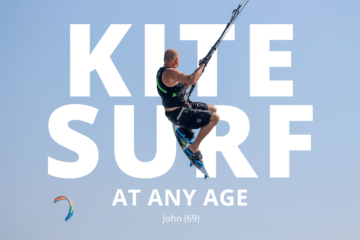 If the wind blows it usually blows until sunset so you can easily finish your work and go for an afternoon or evening kite session. You’ll have good coverage in Cape Town itself but you’ll drop to Edge on the countryside sometimes. Currently Vodacom and MTN have the best coverage but Cell C has the best deals. Vodacom: You can preorder your Vodacom SIM here and then pick it up at the airport once you arrive. But you can also usually get a Vodacom Sim card at the airport once you arrive. The coverage is a bit better but it also costs more than Cell C.
Cell C has the most affordable rates if you need a lot of data, you can buy up to 200 GB airtime for around 125 Euro which is valid for a year. View the rates here (look for the Giga Packages). The area doesn’t really have Coworking Cafes but Morgan’s, Yo Goodness or Carlucci’s are small coffee shop where you can see people work in, they’re always pretty crowded and a bit noisy but have a nice atmosphere. Primi has a nice view and is usually not so crowded during the day. I’ve used my mobile internet in all those spots so I don’t know how the wifi is. You can always try the various Cafe’s and chains in the malls which are usually not as crowded, I liked to work in the cafes in Table Bay Mall for example.